What do you do when you just put your baby down for a nap and your husband is on a pub crawl in the middle of a blizzard? 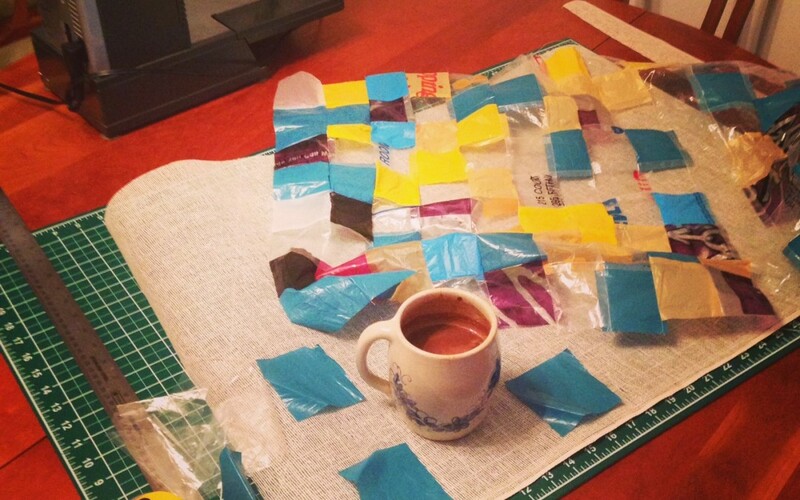 You sew plastic bags into quilt and drink a giant mug of hot chocolate, of course. What a silly question. Working on a piece that grapples with the idea of a divided life. It’s something I have felt acutely since my sweet boy came along: the pull toward my art and the struggle to find the time, energy, and head space it demands while taking care of my family.